If you're looking for some new gear to get your skis, snowboards, and boots from point A to point B (a peak somewhere, hopefully), we've got a giveaway for you to check out. 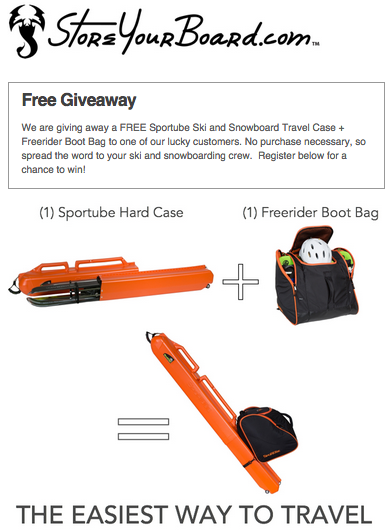 We're giving away a Sportube Hard Case and a Freerider Boot Bag on March 6. The Sportube Case can be either a Ski Case or a Snowboard Case, your call! How do you enter? Just sign up at this website!